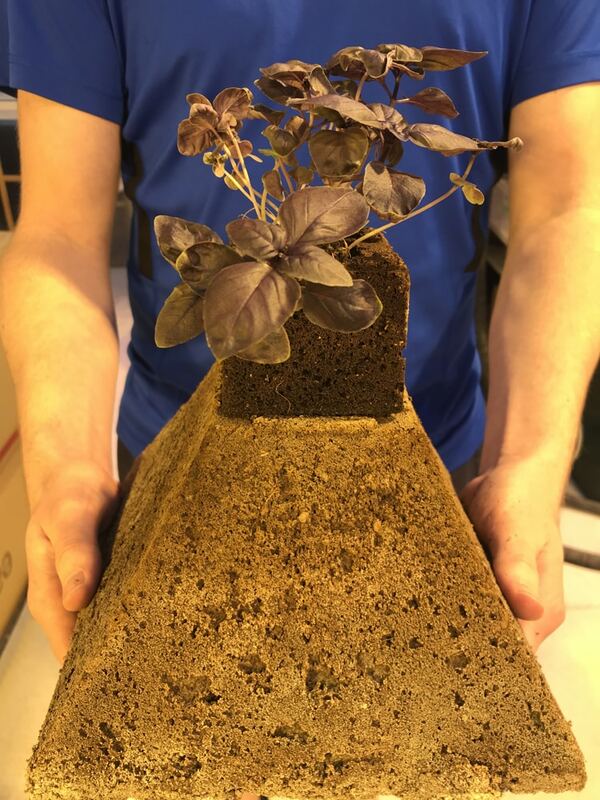 We have been trialling three different soil-less block substrates this month in our Research and Development zone at HQ, we are looking at growth patterns for basil using Char Coir Coco Cubes, Eazy Plug Pyramid Blocks and GRODAN Hugo Rockwool Blocks. The trial is midway through, so stay tuned for updates, but that’s not going to stop us talking substrate blocks, right here, right now. The three we have on trial represent a reworking of an established favourite (Coco Cubes), something zeitgeist-y (Pyramid Blocks) and a, literally, stone classic (Hugo Rockwool Blocks). 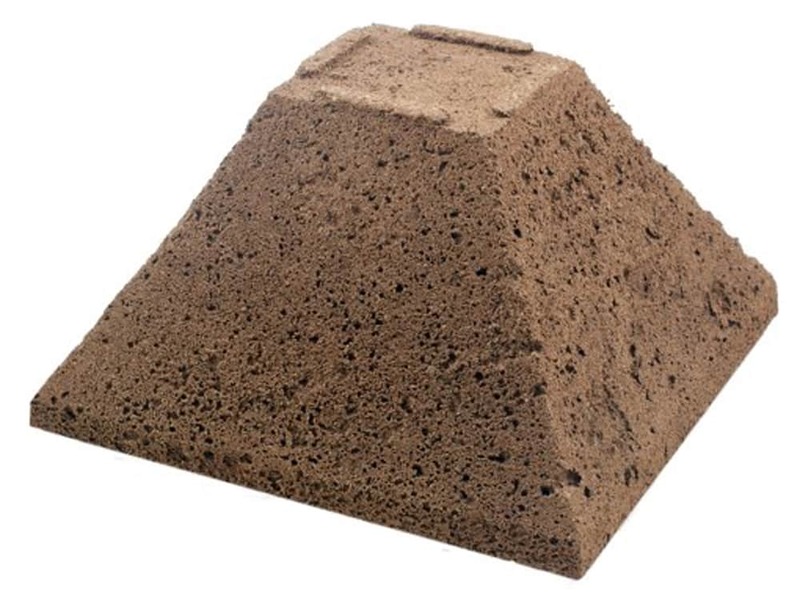 All the substrate blocks claim to offer superior drainage and aeration to soil-based grow media and all of them support their claims with some pretty convincing theoretical arguments. It’s all about innovative materials, structures and shapes, employed to get you big, strong healthy plants pronto – with minimal mess or intervention. A little preview of the contestants seems in order, wouldn’t you say? 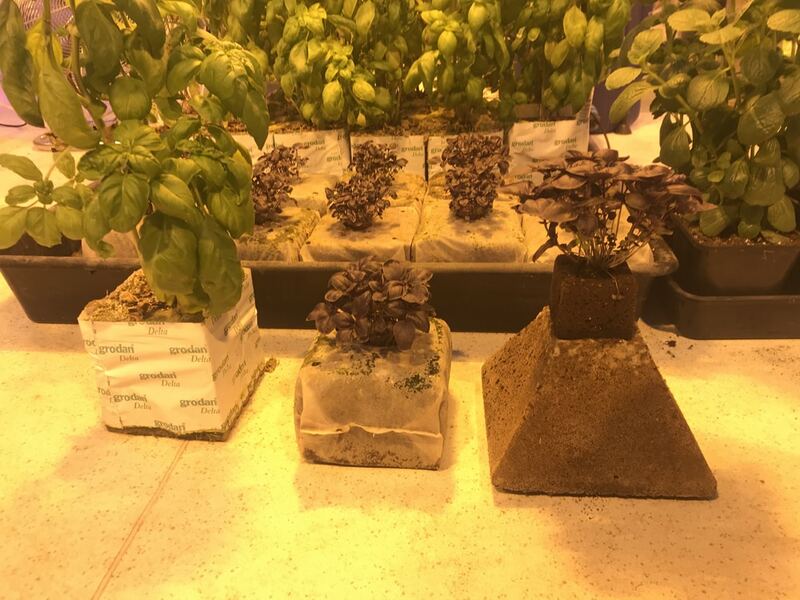 One supposed advantage of using coco coir as a substrate is that it can help regulate nutrient supply. It is claimed that the physical and chemical composition of coir allows it to store elements that are required and repel those that are present in excess. Thus, follows the argument, coir can respond to a plants needs. As coco coir is derived from plant matter it is theoretically equipped to do this, whereas an inert product such as stone wool is not. Furthermore coir is packed with nutrients and can contain, to a greater or lesser extent, lignins. These compounds may help promote beneficial bacteria. Needless to say stone wool brings no lignins to the party. All these natural benefits do, however, have a flip-side. The process of getting coir into a usable state is quite involved. Variations in the approach to processing and in the quality of the coir can cause problems for the end user. As a grower you don’t have to do any of this processing yourself but it’s worth considering whether the brand you’re buying is likely to process properly. Lack of attention to detail on this front means excess salt, opening the door to the Grim Reaper himself: Pythium. The good news is that there are plenty of reputable coir products on the market that will do your plants nothing but good. On paper the Char Coir Coco Cubes on trial should certainly count amongst these. Hailing from a highly respected manufacturer, Char Coir is triple washed, buffered and is RHP Certified for horticulture. The Coco Cubes carry impressive and thorough credentials. This includes EC rating of 0.5 or less, pH stabilisation to the tune of 6.0-6.5 and, commendably, a chemical analysis to aid the grower. Furthermore Char Coir is “sourced from one farm, ensuring consistency and quality”. Tis true that most suppliers do their utmost to ensure growers have all the information they require when using coir. They tend to know their coconuts and we would certainly suggest following their advice regarding soaking or preparation of coir to the letter. 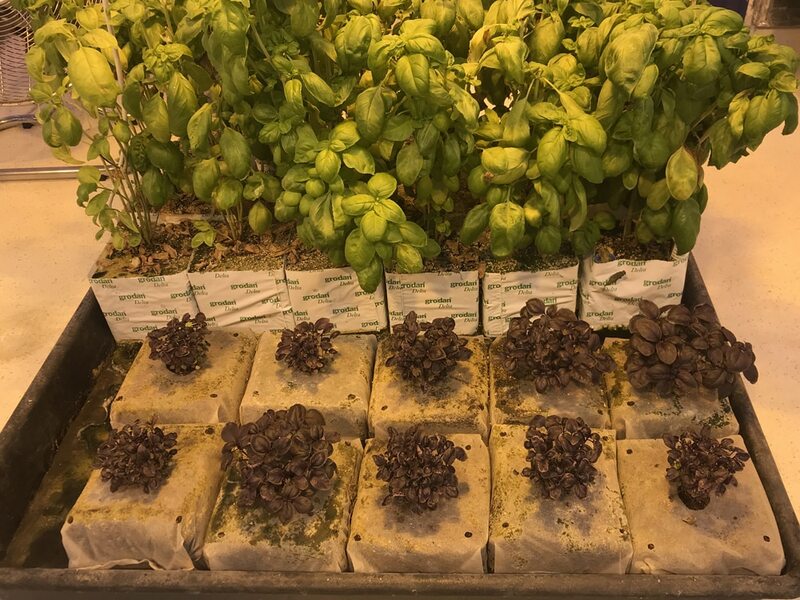 With Coco Cubes, Char Coir seek to offer growers ease of use. 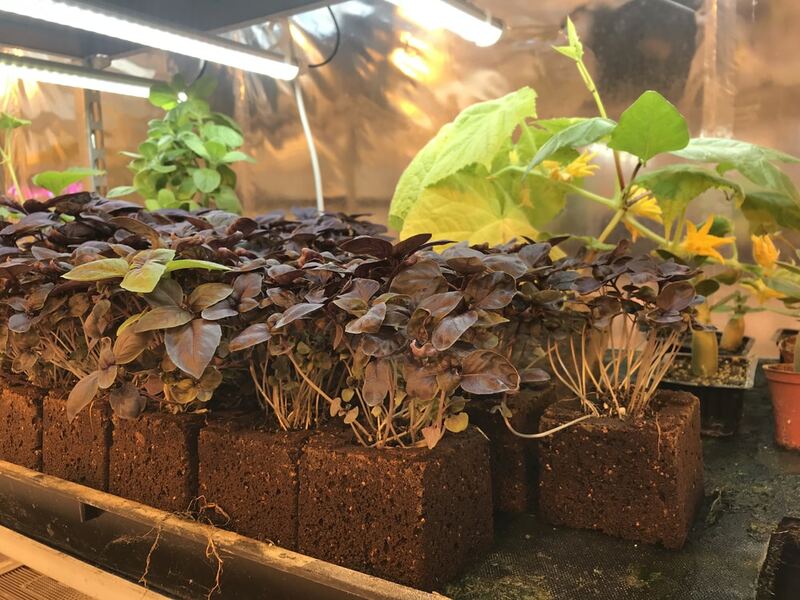 The plastic sleeved cubes of coir are soaked, expand un petit peu, and plant plugs are simply dropped in through a small aperture in top. Without knowing the exact composition of the Eazy Pyramid it’s hard to speculate as to how it will behave or how to handle it beyond the manufacturers instructions. One clue as to the composition is the word “buffered” cropping up again in the product description. This, in conjunction with the claim that Eazy Plug have preset the pH 5.8 and EC 1.0 levels, would suggest some kind of coco derivative. Regardless, the credentials of Eazy Pyramid appear beyond reproach. It’s been certified non-toxic, domestically compostable and clean of live / regenerative plant material. The Eazy Pyramid is the third stage in the Eazy Plug cycle. It is preceded by growth in an Eazy Plug (Stage One) and in the Eazy Block (Stage Two). At each stage it is important to observe the presence of roots reaching the outer limits of the medium and proceed to the next medium up. 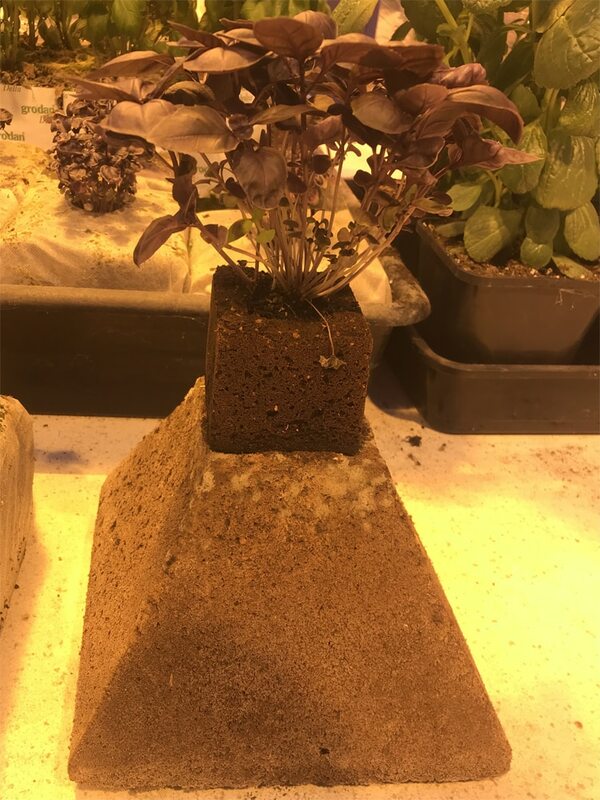 Plugs, Blocks and Pyramids require watering through before use and you must allow the medium to drain, which it will do of its own accord, prior to transplanting. 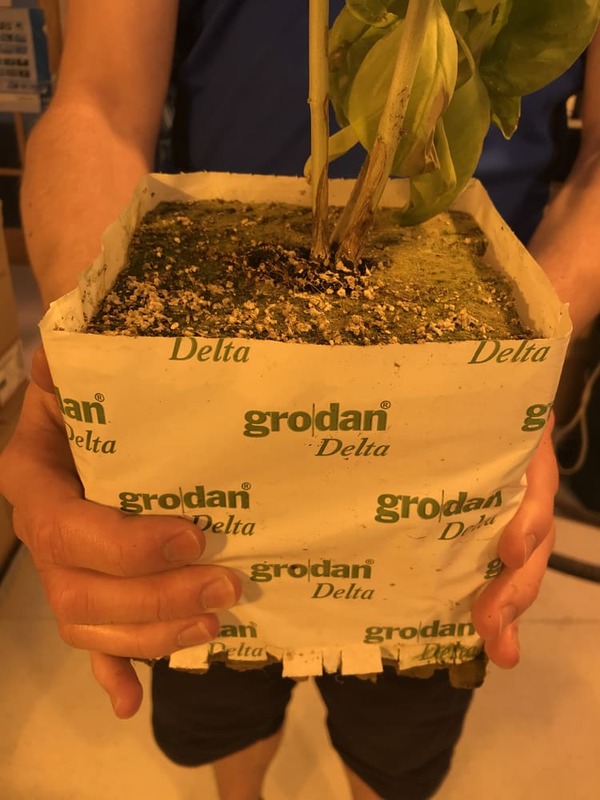 There’s no need to get handy and actively wring out the medium as the ‘organic, compostable propagation material’ self-regulates its water-to-air content throughout preparation and growth. Eazy Pyramid dispenses with plastic sleeves and in doing so embraces air pruning. In the case of Easy Plug air pruning essentially consists of the roots reaching the outside extremities of the pyramid, being repelled by the comparative cold of the air, ceasing outward growth, dividing and turning back inside to create a dense, fibrous, hair-root structure. The arguments for such a root structure are better water and nutrient uptake producing stronger, healthier plants in a shorter time. The bare sides can attract green algae but this is not reckoned to be harmful to the plant itself. Essentially the claim behind the shape of the Eazy Pyramid is that we’ve all been growing upside down. What, Eazy Plug ask, is the point of having the greater proportion of media at the top of the pot, as in traditional conical pots, when the roots want to expand more widely the deeper they go? The Pyramid has an effective volume of 13,5 ltr (3 gal) so should see you safely through a crop cycle. Its dry weight of 0.5kg swells to 3.6kg when moist. Despite the weight increase the size is a constant wet-or-dry 25 x 25 x 15 cm. As with the other blocks under trial it retains its structural integrity and is, therefore, a low / no mess solution. We’re assured it has an unlimited shelf life with zero threat of mould. Inspired by standing on the slopes of active caldera and watching strands of superheated rock fibre fly around (perhaps) Hugo Rockwool cubes are nonetheless produced by an industrial application of the same geological processes. GRODAN take super-abundant rocks such as basalt and chalk, turn into lava at 1600ºC and blow around. Rather than blowing the lava around the factory (pointless and unsafe) the liquid rock is captured in a chamber and spun into fibres. From these fibres GRODAN derive their range of substrates including slabs, these cubes and Gro-Wool. Why GRODAN? Because it’s Dan-ish. These rock Rumplestiltskins (I’m aware Rumplestiltskin is German) have been spinning away at it for nigh fifty years and have perfected the process to reach a hugely impressive conversion rate twixt raw material and output. GRODAN can breed rock like rabbits (what kind of a sentence is that!? ), but really, they pump 37 cu.ft. of stone wool out of just 1 cu. ft. of rocks and are even able to recycle the stuff. Stone wool has had an undeniable impact on the commercial production of plants. It has enabled producers to cultivate indoors easily. This in turn has allowed producers to enjoy all the concomitant benefits of productivity and efficiency inherent to growing in a controlled environment. 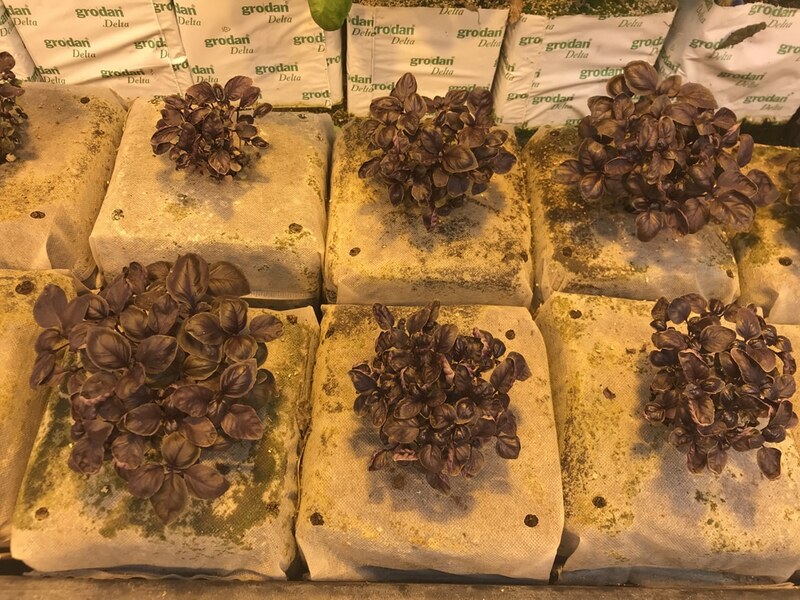 GRODAN were amongst the first to assist such soil-less growers of fruit, flowers and vegetables. 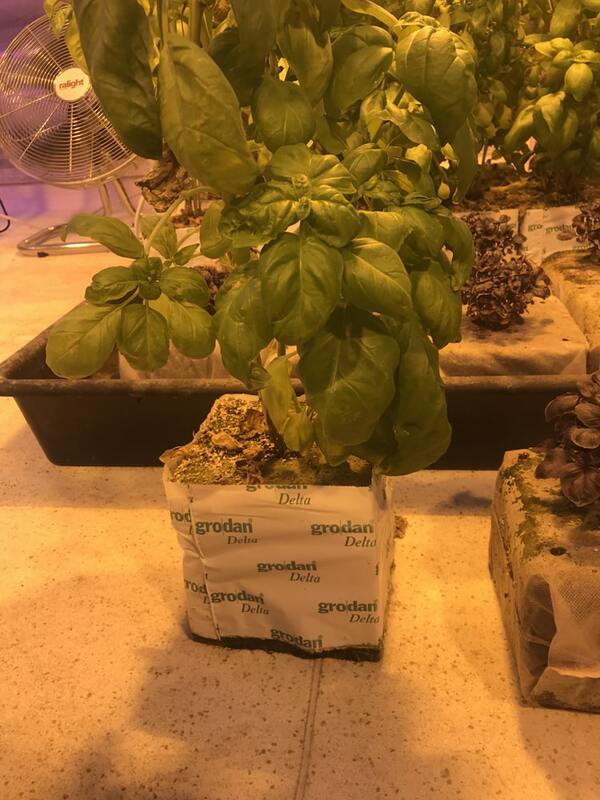 On earth as it is in heaven, GRODAN have also worked extensively with NASA in the testing of hydroponics and plant growth experiments in space. As it’s derived from rocks, and is as such inert, stone wool neatly sidesteps the buffering or stabilising processes required for substrates derived from plant matter. It has no predilection for squirrelling away or repelling nutrients so the block will retain your nutrient solution in its purest form. The only problem with this is that the block is a pure delivery system. It has no relationship with the nutrients going into it and it’s not been buffered to deliver certain nutrient components at a certain rate. In theory the Hugo block won’t nourish responsively as, it is claimed, a coir block will. Hugo Rockwool Blocks are a mighty 6” / 300mm square cube with a 1.5” / 37.5mm hole in the top. That hole is aching to be filled by most mainstream plant plugs. These blockheads are wrapped in plastic foil which you really want to retain for the purposes of instructions and light tightness. Around eighty percent of a saturated GRODAN Block is water with the remaining twenty percent occupied by air pockets. These air pockets are precious and can be destroyed by ham-fisted manual draining so don’t abuse poor Hugo by squeezing or coercing water out during the preparatory moistening. 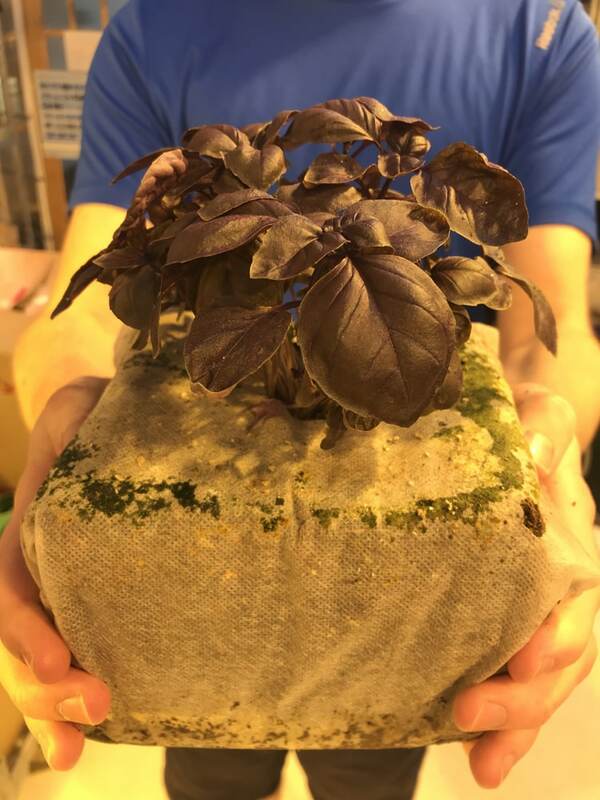 As with the other blocks on trial Hugo Rockwool has sufficient capacity to contain a plant for the duration of its crop cycle, negating the need for repotting. 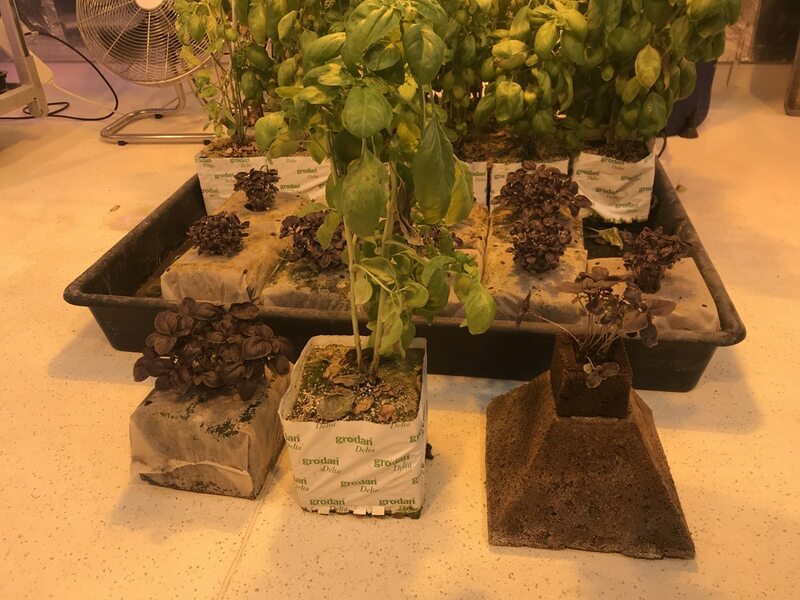 Substrate blocks can also be a great means of bringing on plants in the vegetative stage before transplanting to an AutoPot Watering System. Ideally the final, “vegging” block used would be smaller than those on trial here. The principles of cultivating within the blocks are the same. 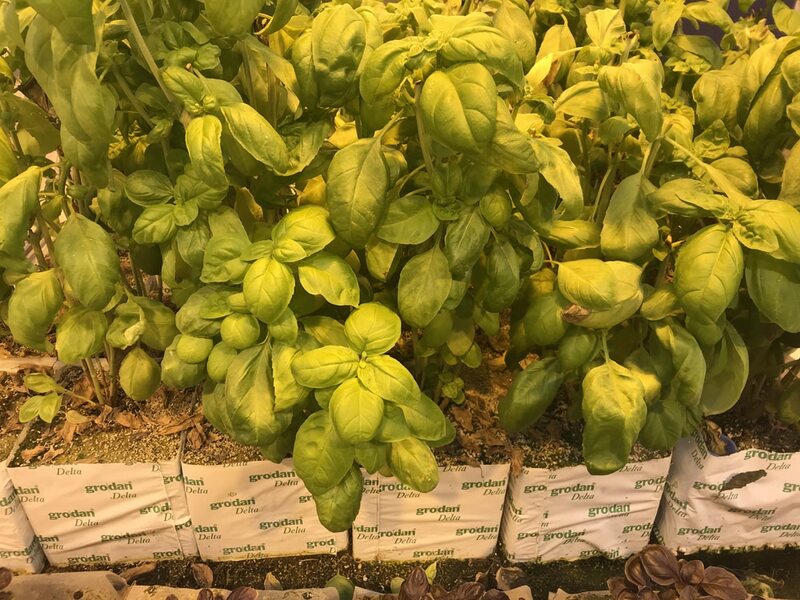 Once the plant exceeds the capacity of the block pot up your AutoPot Watering System as usual, insert the substrate block and plant wholesale into the top of the AutoPot and surround with your growing media of choice. It would be incredibly remiss of us if we didn’t keep you up to the minute on developments with the trial. Check out @AutoPotSystems on Facebook to stay abreast of our grow room videos and expect more here in the coming months.